With the weak system in the tropics headed for the Texas-Louisiana area, here are some forecasts I want to bring to your attention. 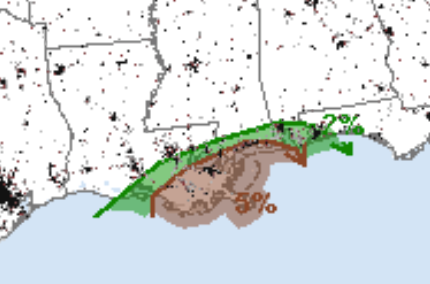 There is a significant risk of weak tornadoes (but all tornadoes are dangerous) along the immediate Gulf coast. There have already been tornado warnings this morning. The more widespread threat is flooding. 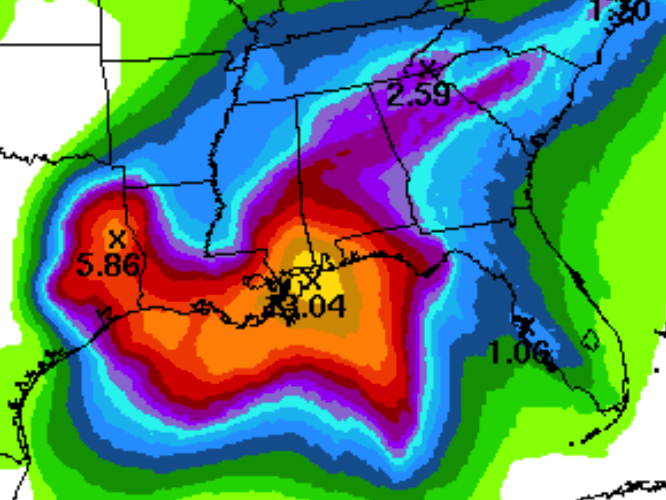 Here is the rainfall among forecast for the next three days. Flooding is a possibility in the areas with heavier rains.